When you step into the PC market, the term 'enthusiast' is often thrown around for high performance, fully featured products that are marketed towards the gaming or overclocking and modding community. However, the rise in the PCs role as digital entertainment hubs today have prompted many manufacturers to heavily focus on delivering features that suit the living room convergence model and to deliver advanced features to people who aren't exactly a technical guru. Enter the P5W DH Deluxe, ASUS' new flagship motherboard that brings high-end computing to the digital home and home office environments in a bigger way, which should tweak the knobs of home entertainment buffs. 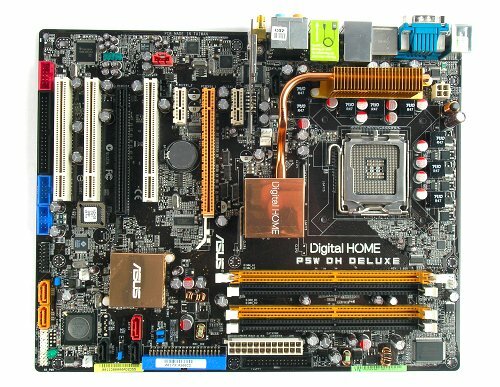 However, the board can still carry off the 'built for gamers' tag line with its use of the Intel 975X Express chipset and support for ATI CrossFire and the much-hyped Core 2 processors. In this review, we take the P5W DH Deluxe out for a spin to see if high-end digital home can deliver.